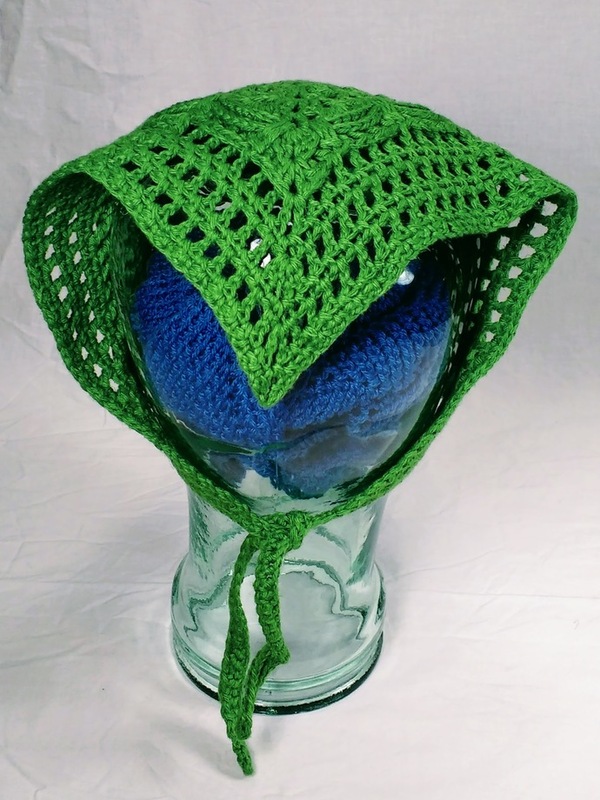 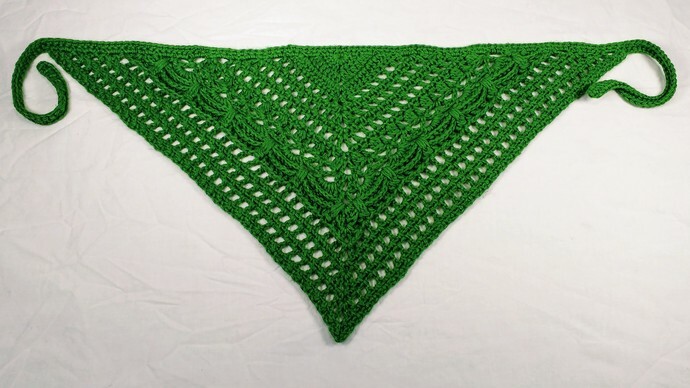 This heavily textured kerchief is made of a crisp green cotton/linen blend yarn. 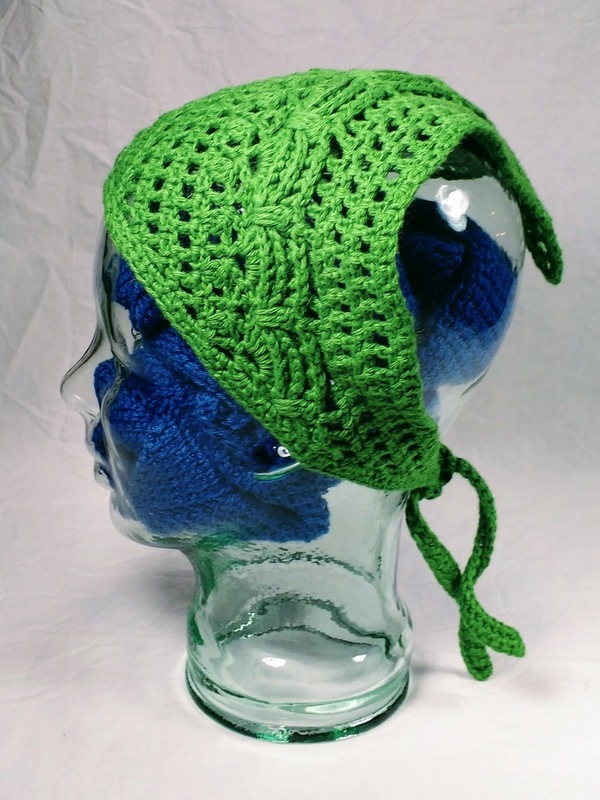 It can also be worn bandanna style around your neck if you prefer. 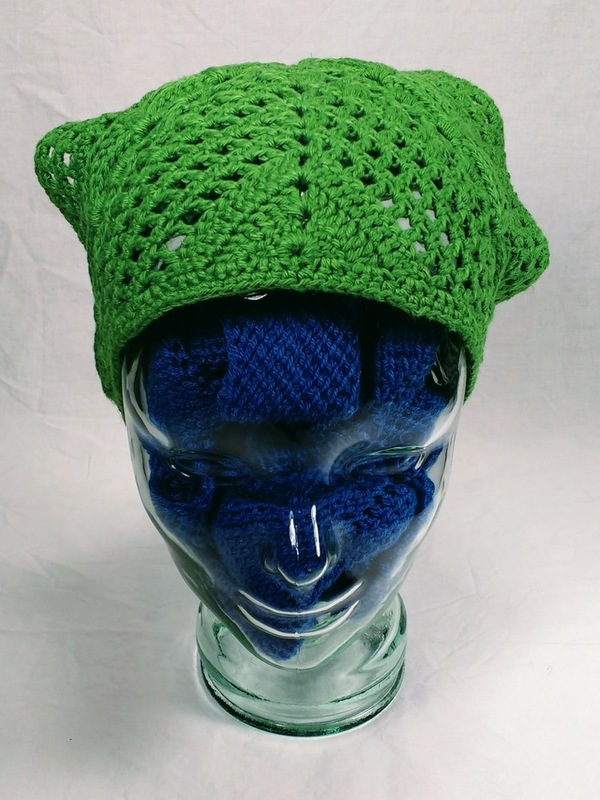 It is made of machine-washable cotton/linen blend yarn. 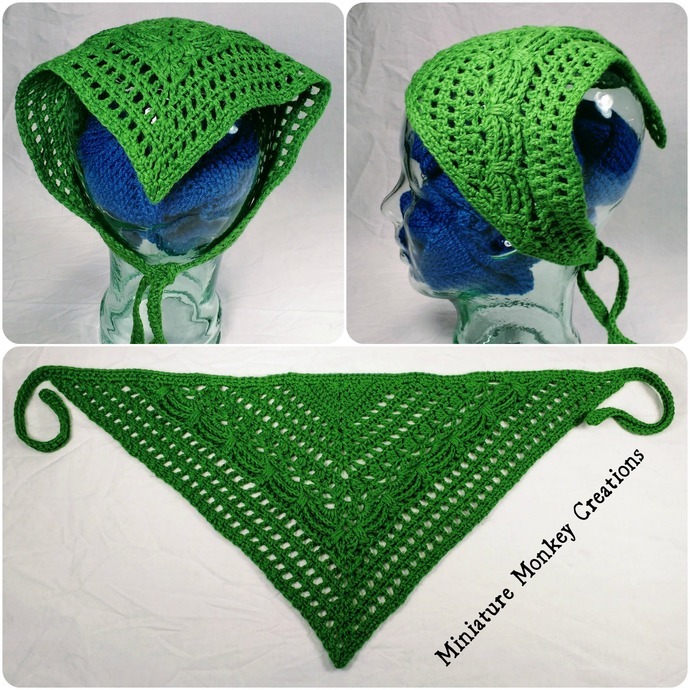 While it can be machine dried, I recommend drying flat to maintain the shape of the scarf.